Box Hill offers a mix of open woodland and chalk downland with a network of walking trails providing excellent views of the South Downs. See wild orchids in summer, and lovely autumn colour. There is an information centre and a late Victorian fort near the summit of the hill. The hill is named for the large number of box trees that grow here - though no one seems quite certain who planted them or when. Though they were often attributed to Thomas Howard, 21st Earl of Arundel, the box trees may actually date to the medieval period. Diarist John Evelyn writes of walking through copses of box in the summer of 1665, so they certainly date that period at the latest. The Box Hill estate was given to the nation by Leopold Salomon in 1914 and large portions of it are now operated by the National Trust. The Trust maintains a visitor centre and cafe, and offer details footpaths that criss-cross the wooded hillside. In 1815 a piano maker named Thomas Broadwood bought Juniper Hall. Five years later he had this mock-medieval tower built of flint. 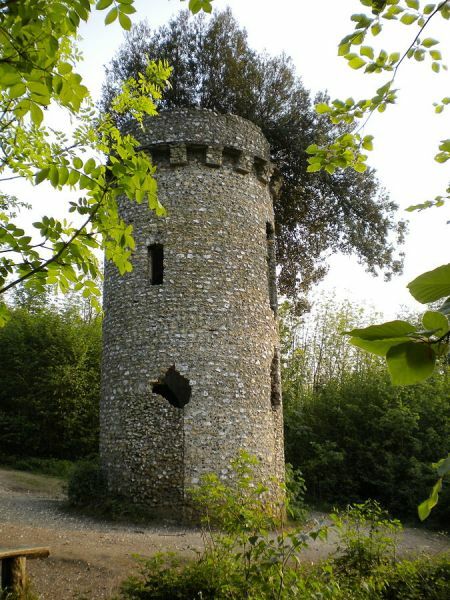 The circular tower served no obvious purpose beyond being a focal point on the wooded hillside. In the 1890s a series of 13 mobilisation centres were built to protect London from an invasion from the European continent. One of these was built on Box Hill. The fort covered an area of 6 acres and included an infantry redoubt plus ammunition storage for mobile field artillery to use. Box Hill, ad the other 12 centres, were made redundant in 1905. It is closed to visitors because it is now a bat habitat. This popular viewpoint is based on a viewing platform offering views south towards Dorking and further south to the South Downs. 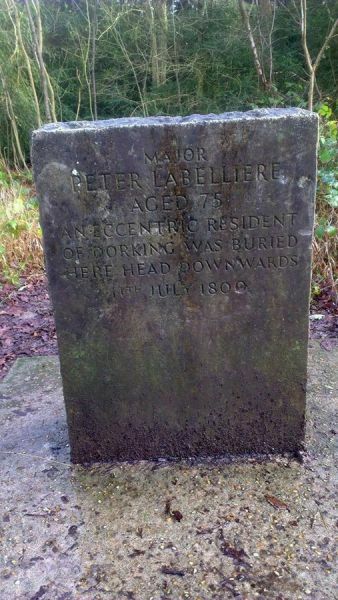 Peter Labilliere was born in Ireland but served in the British Army, rising to the rank of major. He was accused of inciting troops to avoid fighting in the America Wars of Independence and corresponded with Benjamin Franklin. His anti-war sentiments made him a figurehead for those opposed to the American conflict. He lived in Dorking in later life and regularly came to Box Hill to meditate. According to his wishes, he was buried head downwards on the western slope of Box Hill when he died in 1800. The River Mole runs beneath the western slopes of Box Hill and a popular walking trail crosses the slow-moving river over a series of broad, flat stepping stones. This area of Box Hill was historically part of Burford Lodge, built in 1776 and later owned by Sir Trevor Lawrence, who laid out a garden by the riverside where he grew his collection of orchids. 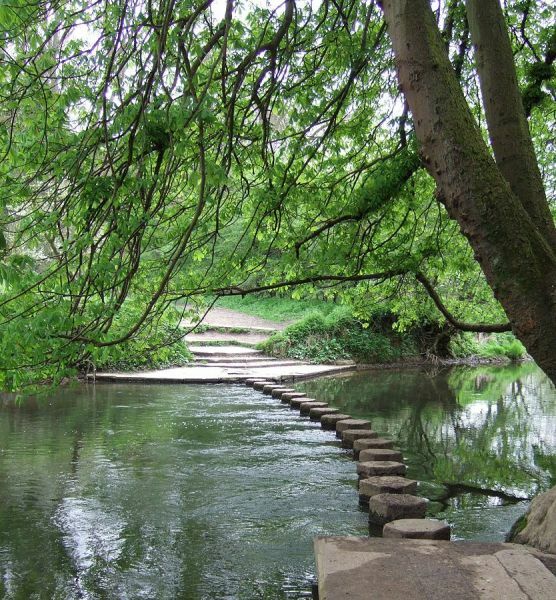 The ford now crossed by stepping stones is thought to have been used from prehistoric times. The old stepping stones were destroyed during WWII as a security measure, and the ones we see today were dedicated by PM Clement Attlee in 1946. 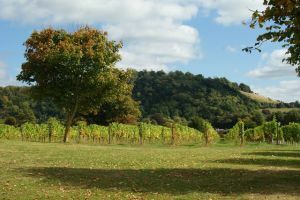 Jane Austen used Box Hill as the setting for her novel Emma. 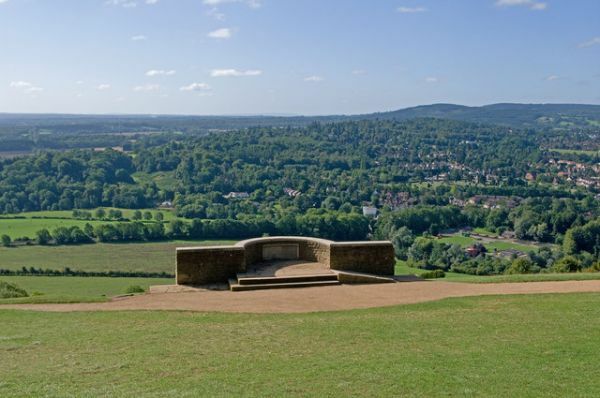 Box Hill was named a 'Great British walk' by the Guardian newspaper. 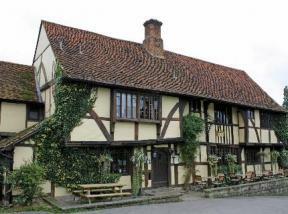 Location: 1.5 mile south of Leatherhead on the A24. Local buses from Dorking lead to the east car park.